Get practical guidelines for making your website accessible to people with disabilities. With this handbook, you’ll learn how to design or develop a site that conforms to Section 508 of the US Rehabilitation Act—and in the process you’ll discover how to provide a better user experience for everyone. 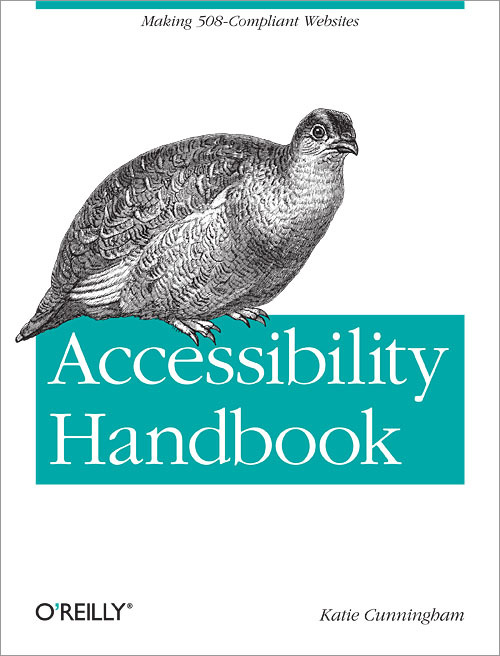 The Accessibility Handbook introduces you to several audiences that have difficulty using today’s complex websites, including people with blindness, hearing loss, physical disabilities, and cognitive disorders. Learn how to support assistive technologies, and understand which fonts, colors, page layouts, and other design elements work best—without having to exclude advanced functions, hire outside help, or significantly increase overhead.